Begin your French river cruise in the "City of Light" with a tour of the heart of Paris-Île Saint-Louis and Notre-Dame Cathedral-or tour the city to see the Louvre, Arc de Triomphe, Eiffel Tower, Opéra Garnier, and the Champs-Élysées. In Conflans, walk in the footsteps of Vincent Van Gogh and the Bonapartes with visits to the artist’s home in Auvers-sur-Oise or the Chteau de Malmaison of Napoléon and Josephine. Sail to Vernon where Claude Monet found inspiration for his impressionist masterpieces at his home and gardens at Giverny. If preferred, visit Bizy Castle, "Normandy’s Versailles." Visit picturesque Les Andelys for a guided city walk or visit the chteau of King Richard the Lionheart. Cruise to Rouen, site of Joan of Arc’s martyrdom, then to Caudebec for an excursion to historic Normandy. Choose a visit to the heroic WWII landing beaches of Normandy with American sites and monuments; a visit to British or Canadian memorials, or a day in the countryside for a "taste of Normandy." 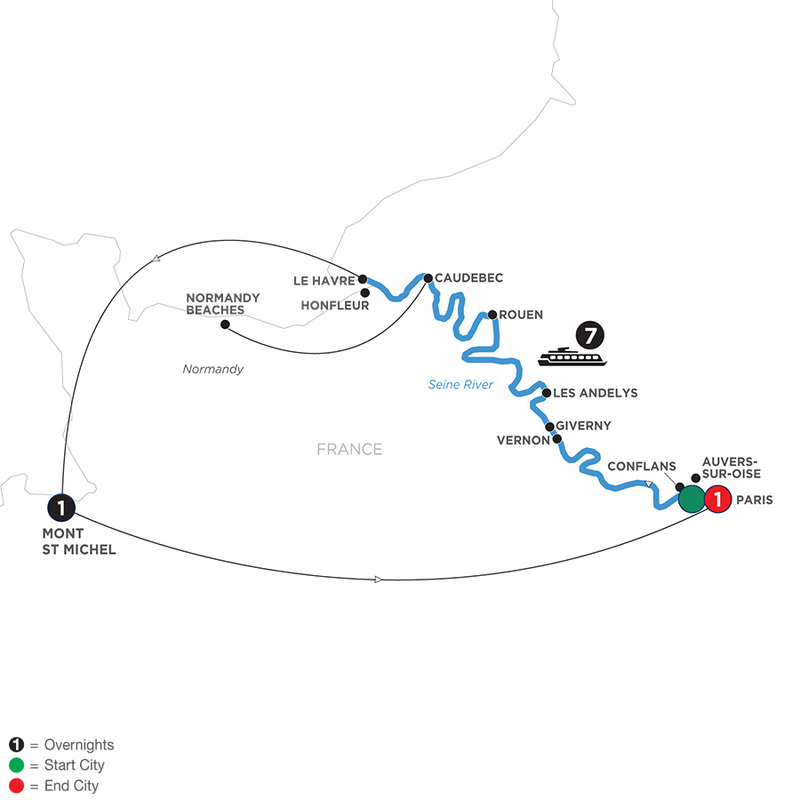 Take a tour in La Havre, where the Seine River meets the English Channel, to conclude your cruise. Day 6 Caudebec. 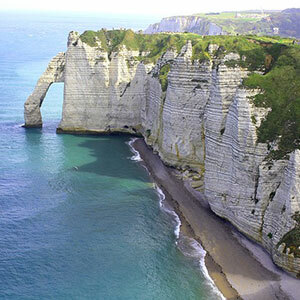 Excursions to Normandy: choice of full day excursions to Normandy landing beaches, or "A Taste of Normandy"